13 years offers a great opportunity to revisit most relationships. At first blush, Boston and Budapest seem to have little to share or offer each in a study on innovation. However, both share unique innovation environments that reveal themselves upon further review. I am a Boston native and, after my undergraduate degree from Berklee College of Music, Boston is where I started my marketing career to build experience for an MBA program. Top MBA programs want students with practical experience, so I invested in practical experience (outlined in my CSI Music Industry, Part 1: The Crime Scene blog) with this goal in mind. I found a Central European University in Budapest, Hungary that, at the time, was a business school sponsored as an eastern campus of Case Western Reserve’s Weatherhead School of Management. To make a short story short, I found, in 1999 with my exposure to brilliant students from the Soviet Union (Former) a place of brilliant potential. I was exposed and challenged to think about business in a global and cultural impact and at level I came to realize is the lever for innovation: diversity. By the second semester I founded my first consulting company, The Arctic Group, to introduce the world to Hungary and Hungary to the world. A month ago I was invited to join nowEurope, who report on innovation, investment, and technology transfer in Central Europe. I periodically blog for nowEurope on talent, diversity, and human capital. I think there is a great opportunity to share thoughts relevant to both Boston and Budapest to look forward as well as avoid pitfalls that a view both time and distance might view with greater opportunity. My interest in Hungary and the region stems from an opportunity to study an advanced business degree in Budapest. After living in America and China, two countries that dominate both their region and much global news, Hungary, the size of Pennsylvania, was a distinct change of perspective. In 1999 I arrived in Hungary, straight from China. The country and many of the seven countries that border Hungary were shaking off decades of planned-economy paralysis. The region was entering a renewed sense of opportunity and Hungary was stabilizing its voice in the region, in Europe, and in the world. The opportunity, and the challenge that lay ahead, for Hungary and others in the region was to set the proper goal. The more I worked and studied at Central European University, the more I discovered a region, from the Czech Republic through Mongolia, full of immensely brilliant, able people to have an impact on a global scale. With a brilliant work force, many in government chose a low-wage competitive strategy. I felt then, as I do now, the race to the bottom is a short-term solution. Any review of Forbes, Fortune, Economist, Financial Times, and other glossy magazines were touting CEOs leaping into China and gave a sense if you were not heading to Asia you were missing the boat. While the journalists and followers were touting the Asian Tigers, I landed in the most fertile opportunity. In March 2000 I started The Arctic Group to work with the government on technology transfer and foreign direct investment. 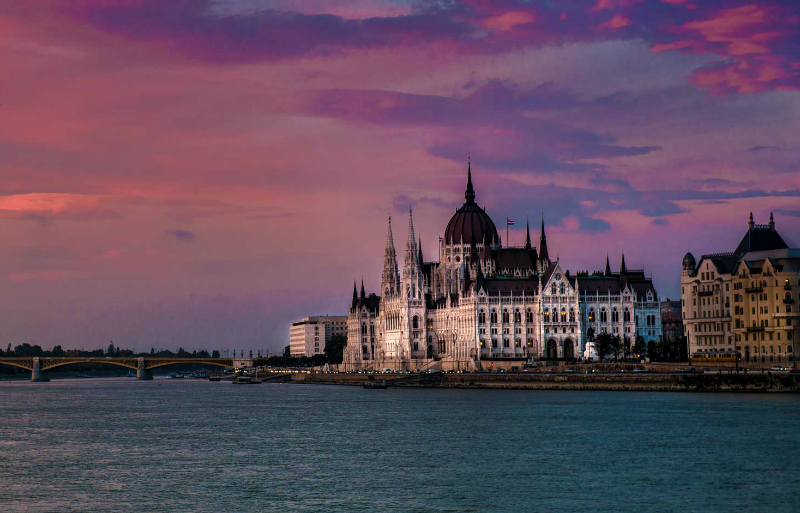 The future for Hungary and the region was not bright, but incandescent. I now live in Boston and see regional investment and competitive advantage from a world view of options. Just as a private equity team manages a portfolio of risk, regional and competitive advantage plays a portfolio of risk made up of human capital, government policy, financial investment, and organization leverage: each with their own agenda that plays, too often, against each other. I continue to look at Central and Eastern Europe as a unique opportunity. My return to Boston shines a perspective on how this city and this country competes and invests, this is the perspective I look to contribute to nowEurope. I hope the comparisons draw insight on what works, what is not working, and what might offer an alternative thought. I continue to believe, as I did founding The Arctic Group, that “diversity in thinking, diversity in planning, and diversity in execution” is the key to innovation. There are two choices in business: either do it cheaper or better. Each strategy has merit, but either position requires commitment. You have some good insights here, Toby. I've been to Hungary as well. There seems to be tremendous potential there. I met with a bright Hungarian consultant who was up to speed on the latest trends coming out of human development centers world-wide. The socialist government worked to move them from a agrarian society to an industrial one. Now they are quickly catching up in knowledge-based industries. Most young people are learning English and therefore able to jump into international business. Now they've joined the EU. I suspect that once European economy picks up they will go far. With a country the size of Pennsylvania, as Hungary is, and now a part of the biggest middle market in the world, the EU, there is great ability to modify and make an impact. If allowed, history will continue to shackle opportunity. This too often happens across the world. The key is to look towards the future and not let a 1,000 (or more) year border feud dictate policy. Hungary is a great place. Thanks for the comment Bob.